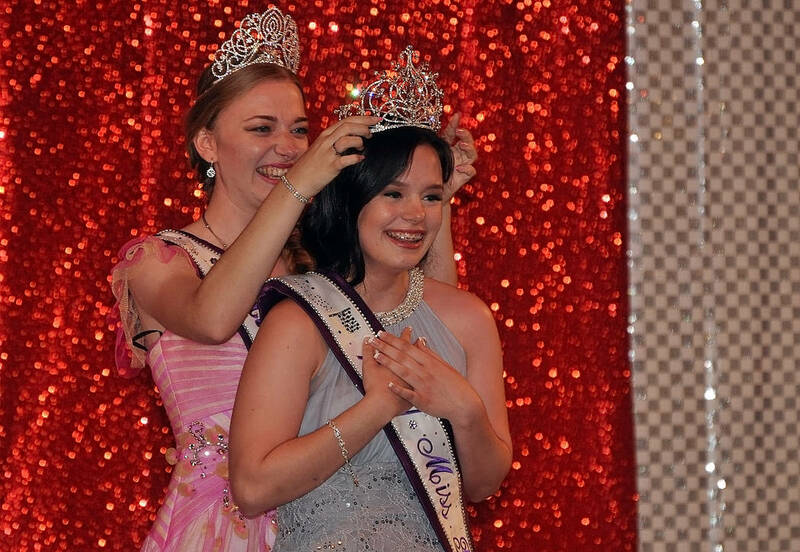 The 2017 Miss Pahrump Pageant has crowned a winner. 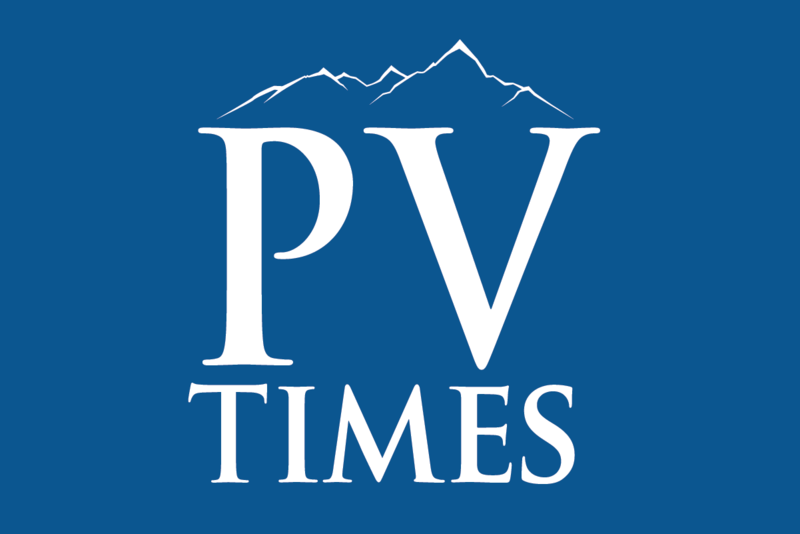 Horace Langford Jr./Pahrump Valley Times - Miss Pahrump 2017 contestants (L-R) Krystyn Peugh, Jenna Sova, Angel Gibson, JennaBroderick, Jenna Hiil and Shelby Ledford. Horace Langford Jr./Pahrump Valley Times - Miss Pahrump 2017 Shelby Ledford with 1st Attendant Jenna Broderick (L) and 2nd Attendant Angel Gibson (R). Horace Langford Jr./Pahrump Valley Times Miss Pahrump 2017 Shelby Ledford crowned by outgoing Miss Pahrump 2016 Savanna Greenup. Pahrump Valley High School junior Shelby Ledford, 16, took home the top honor June 10 at the Saddle West Showroom. Ledford, a studio dance instructor, also performs with the high school’s dance team. Her hobbies include reading, writing and obviously dancing and fitness. Career-wise, Ledford said she wants to pursue two careers, a dance instructor and choreographer. Joining Ledford for top honors were first attendant Jenna Broderick and second attendant Angel Gibson. Broderick, 17, comes with true athletic prowess as she participates in cross-country, track and basketball. Her hobbies include the piano and rock climbing. Broderick plans to earn a degree in graphic artsand to eventually become an art teacher and swimming instructor. Second attendant Angel Gibson also possesses athletic experience, as she participates in basketball, softball and volleyball. Gibson is the school’s vice president of the Jobs for American Graduates (JAG) program. Among Gibson’s hobbies are reading, writing, dancing and singing. The senior said she will pursue a career as a surgical technician. 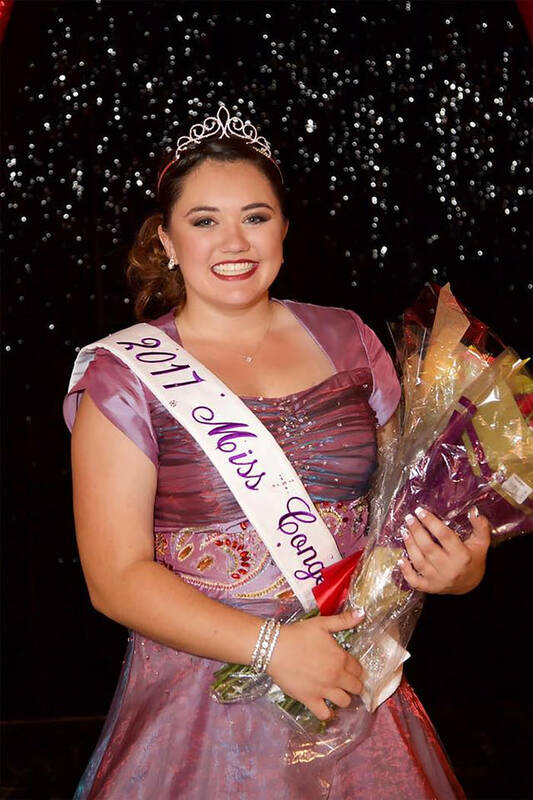 Earning the Miss Congeniality honor was none other than junior Krystyn Peugh, 16, who participates in the school’s dance and rodeo teams. Aside from “jamming to music,” Peugh’s hobbies include reading and dancing. She plans to become a pediatric surgeon in a few short years. Two additional pageant contestants with the first name ofJenna, both deserve special recognition. Sophomore Jenna Hill, 16, enjoys playing soccer when she’s not pursuing her hobbies, which are art, computers and reading. Upon graduation, Hill plans to become a computer technician. Jenna Sova, 15, also a sophomore, enjoys golf and cheerleading when she’s not involved in speech and debating at the school. Sova’s hobbies are fishing, hiking and tie-dying T-shirts. She is eying a career as an international sales executive in the not-too-distant future. 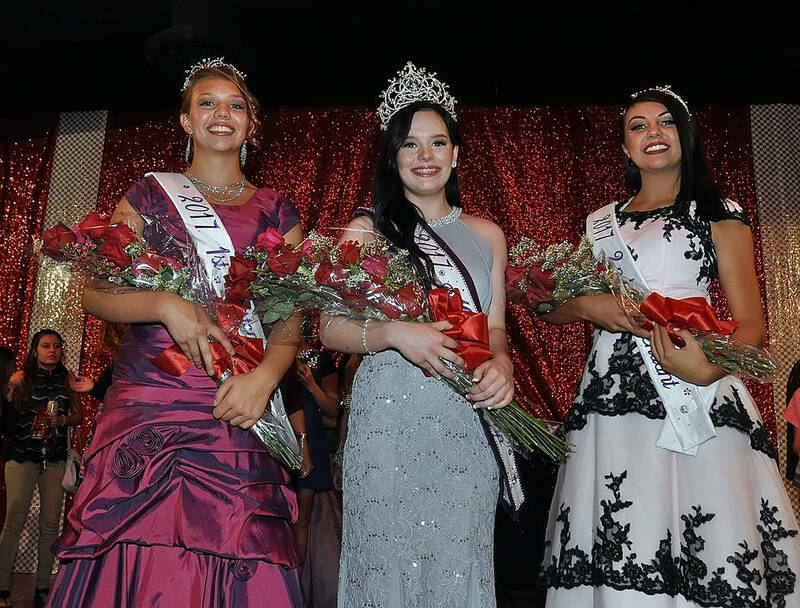 The 2017 event marks the 41st year of the Miss Pahrump Pageant. 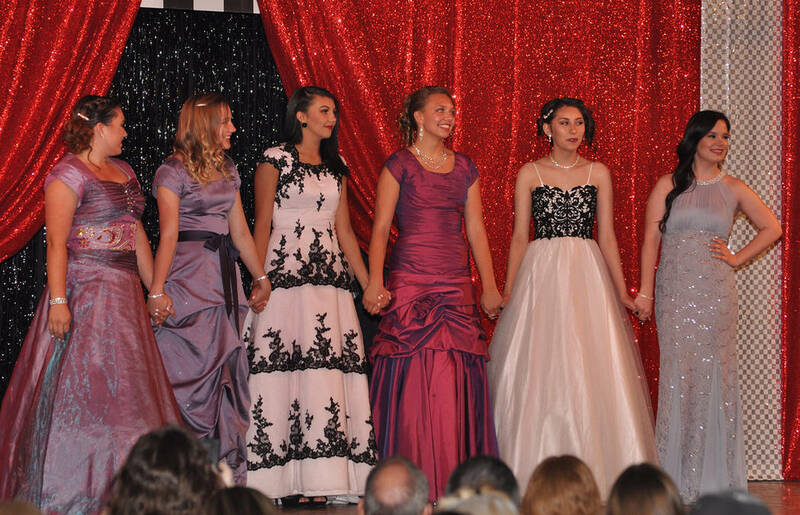 All young women ages 13-18 entering high school, through their senior year are invited to participate in the 2018 Miss Pahrump Pageant.